The Omagh bombing was a deliberate massacre of civilians carried out by the Irish Republican Army on Saturday 15 August 1998, in Omagh, County Tyrone, Northern Ireland. Twenty-nine people were murdered in the attack and approximately 220 people were injured. 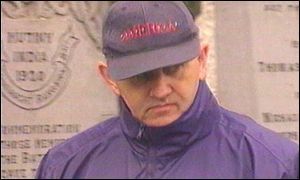 The attack was described by the BBC as “Northern Ireland’s worst single terrorist atrocity” and by the British Prime Minister, Tony Blair, as an “appalling act of savagery and evil”.